Where is this coin from? How much is this coin worth? We want to know the value of things, whether coins or baseball cards or shoes or cars, so that we can determine a thing's importance (especially compared to other things). If I see a penny on the ground, I know its value is so low that I won't bother to pick it up. A quarter, however, is worth stopping for. If I'm shopping for a car, I want to know the value of the cars that I am looking at so that I can decide if a particular price is a good deal. When the thing is a foreign coin, which we naturally associate with money and value, it is hard not to wonder about how much it is worth. It is important to know the approximate value of your coins in order to avoid over- or under-insuring your collection. Comparing the values of multiple types of the same coin (different dates or mint-marks) helps you choose the more valuable coin for your collection. Knowing the value of a coin can help you make sure you are making equitable trades with other people (though you shouldn't be nit-picky when making trades - trading a 25-cent coin for a 5-cent coin is a good deal if it's a coin that you don't have in your collection). For those valuable coins that you do run across, you'll make sure to take better care of them so that they continue to stay valuable. When we talk about the value of something, especially something that is collectible, it is important to know that there are actually 2 different values that we can consider (and that are found in different ways) - its book value, and its market value. Things (coins, cars, houses) usually don't have a single, fixed "value" or "price" that everyone agrees to. If you go to 3 different grocery stores, you'll probably find 3 different prices for the same items. For things that people commonly collect (like coins, comic books, or baseball cards), some person, group, or company has probably created a "price guide" - a book (or magazine, or Web site) which lists the different items and gives them an estimated value (usually based on a lot of research). A commonly-used price guide for cars is the Kelley Blue Book, for example. When you get the value for something from some kind of a price guide - whether from an actual book or a monthly magazine or a Web site - it is called the book value. Book values are useful as estimates (for insurance, or for comparing the estimated values of several coins), but they are usually not what you could actually buy or sell a coin for. The market value of a thing is what someone would actually pay for it, which can be more than or less than the thing's book value and can change frequently. I may have a coin that a book says is worth $100, but if nobody is willing to give me that much for it, is it really worth $100? Or I may have a coin that a book says is worth 25 cents, but it is very popular right now and I am able to sell it for $1. Finding the market value of a coin is more difficult, and requires you to do some research. It's also only really useful to know if you want to try to sell a coin (or are checking if a coin you want to buy is a good deal). For foreign and world coins, the main book source of coin values is the Standard Catalog of World Coins, published by Krause Publications. It is currently available in multiple editions (coins from 1601-1700, from 1701-1800, etc. ), and is updated annually. These are big books, listing nearly every coin ever made with pictures and the number of coins minted, with estimated values based on the coin's date and condition. Every world coin collector should have one of these. You can find these books at Amazon, or you can check if your local library has a copy. The nice thing about book values is that you don't need to have the most recent book (or to buy a new book every year) to get a good sense of the value of a coin (or to compare different coins). If coin X is worth more than coin Y in the 2002 edition, that's not likely to have changed in the 2012 edition. 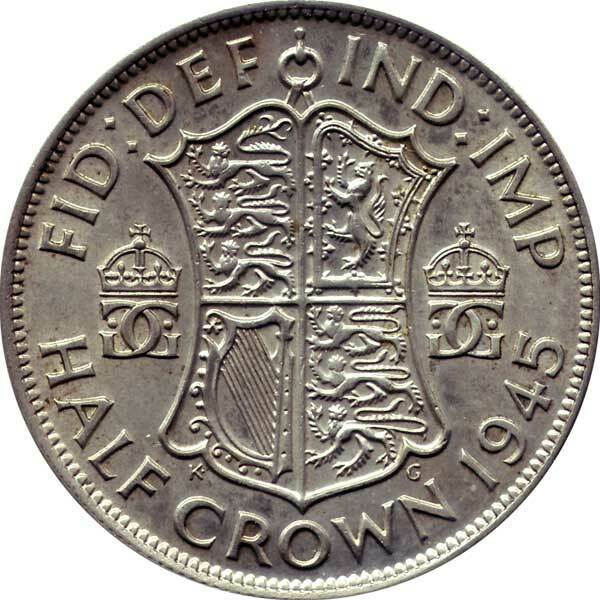 Krause Publications has put their coin value database online at Numismaster.com. For a monthly or yearly subscription fee, you can look up the coin values from their current books online without needing to buy a book. 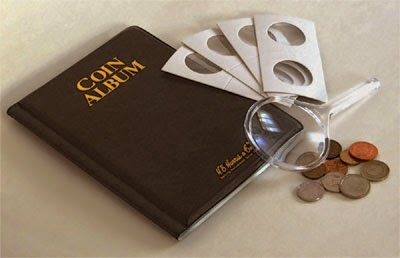 Depending on what you need, it may be a better deal to buy the book or to subscribe to Numismaster.com. In June, 2011, the Numismatic Guaranty Corporation (NGC) released a free World Coin Price Guide Web site based on Krause Publication's coin value data. I don't know if the information is any different than what is available at Numismaster, but I've noticed that it is not as complete as the information I can find in the printed Standard Catalog books (not all the coins are listed, and there are fewer pictures than in the book). If you haven't yet invested in a Standard Catalog of your own, start with the NGC's price guide and see if it is sufficient for what you need. To try to figure out the current market value of a coin, you need to find out what people are willing to pay for that coin. The best way to do that is to see what people have actually paid at auction sites like eBay.com. eBay allows you to search completed auctions, which lets you know how much people actually paid for things. It is unlikely that all the sales were for the same value, so using this method you end up with a market value range - if there were 3 similar coins that sold in the last 30 days, for $1.50, $0.99, and $1.10, you can take the average to arrive at a reasonable current market value for the coin. If you were going to sell the same kind of coin, that would give you a good idea of the price to use. The difficulty with finding a market value is finding completed auctions. eBay only allows you to search for completed auctions within the last 3 months, so for less common coins you may not find any actual sales. While the market value of a coin gives you a good idea of what you can sell it for, it only applies to selling the coin to another collector (e.g. in person, through the mail, or in an auction). If you're going to try to sell a coin to a coin dealer (someone who buys and sells coins professionally), then a third value comes into play - what I call the coin's trade-in value. Any coins that a dealer buys from you, they will have to then try to sell to someone else - that is their business. A dealer wants to resell the coin at its current market value, which means that they need to buy it from you at lower than market value (the "trade-in value"). This trade-in value may be anywhere from 25% to 50% less than the market value or book value of the coin. If you take a coin to a dealer and ask for the full market or book value, they are very unlikely to be interested. The best choice for getting the most for a coin is selling to another collector, either in-person or online. But selling coins this way presents its own set of challenges (fees for selling your coin through an auction site; fees for accepting credit cards; risk of not getting paid; etc.) so it may be easier, though less profitable, to work with a local coin dealer instead. See our other post about the exchange value of a foreign coin. Collecting foreign coins is about enjoying the beauty and variety of the world's money, about glimpsing another culture through an ordinary, every-day object which is very commonplace but is also very important. Foreign coins show us what that country thinks is important enough to honor by immortalizing it in a small sculpture that will be seen by millions of people. While there are collectors who search for only rare or valuable coins, they are missing out on the thousands of other interesting coins that make world coin collecting fun. For that reason, I don't recommend that you focus too much on how much coins are worth. Most modern world coins are minted in the millions, and are going to be neither rare nor valuable. 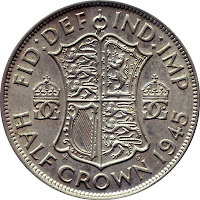 The excitement comes from finding a coin that isn't already in your collection, that fills a hole or completes a set and gives you a sense of building something. If the coin happens to be worth something, then that's an added bonus, something that you can showcase as part of your ever-growing collection.